Aaron’s Inc., which has become a frequent supporter of Fuller Center for Housing work, donated the appliances for the first home constructed by the Ginger Ford Northshore Fuller Center since the Ginger Ford Habitat for Humanity affiliate merged with the Northshore Fuller Center. The Joe Monistere Build was dedicated on Saturday in Hammond, La. Aaron’s also has pledged to furnish refrigerators and stoves for all eight new homes being built during the Millard Fuller Legacy Build in Minden, La., Oct. 17-21. The company’s recent involvement with The Fuller Center for Housing also includes a recent donation of furniture to the Fire Station No. 9 renovation project conducted by the Greater Atlanta covenant partner in June and the donation of appliances for last month’s Chattahoochee Fuller Center’s joint build with Lanier Health Services in Lanett, Ala. 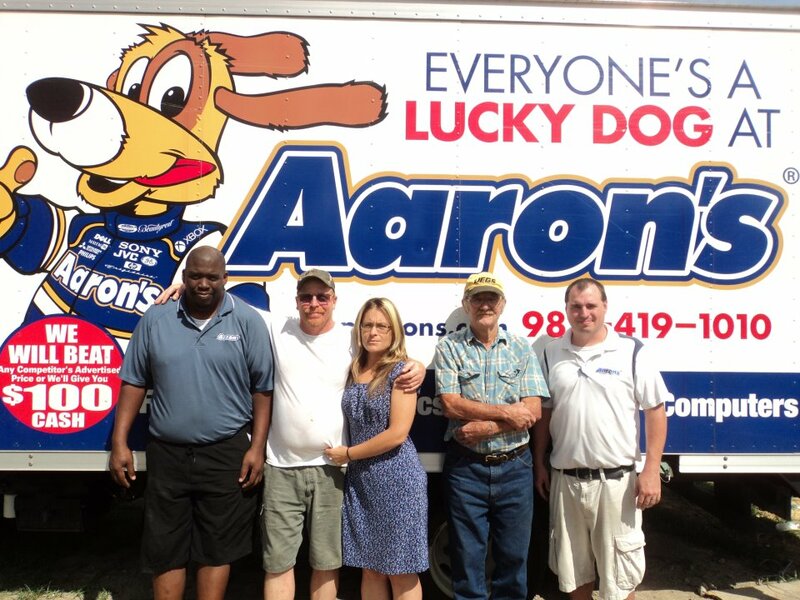 The Fuller Center for Housing would like to thank Aaron’s Inc. for its continued support of our mission to eradicate poverty housing. Thank you Aaron’s. Now we can do things most people take for granted. Cook food,wash clothes, thank you so much. This really means a lot to us.